The last few months have been an extra busy time in K-12 education. Why? Because most have been doing research, going to meetings, filling out form 470’s and 471’s, reviewing RFP submissions and double or triple checking everything as they finalize their E-Rate applications. It’s a ton of work and for the most successful schools it didn’t start in December. Most schools that use E-Rate funding usually started planning a year or more before the application window was even opened. With the 2015 E-Rate funding year coming to a close this week (Tonight at 11:59 PM EDT) it’s time for schools that didn’t file to start planning for next year. We’ve put together a quick and easy E-Rate time line you can follow to help you stay on track and make sure your E-Rate funding year 2016 planning is effective and successful. About a year or more from the application deadline is when your planning should begin. But it’s not just about what devices you want to give to your students or what access points you want to deploy on your school’s new wireless network. It about how much money you’re going to have over the next two years, or in this case how much do you project to have in 2016 and 2017? This number will allow you to figure out how much money you’ll need from E-Rate funding and how much you will be funding yourself. This means being proactive when planning your budget and calculating your E-rate discount rate. FY2015 was a complete overhaul of the E-Rate program and more specifically brought changes to the discount rates. Category 2 (formerly Priority 2) now ranges from 85% down to 20%. Put simply, every school in a given school district will receive the same discount, even if a school applies individually or is the only school receiving funding for the service. It’s critical to know this rate as early as possible to make sure you’re budget and planning is on track and accurate. Click here for a copy of the official USAC PowerPoint presentation “Category Two Budgets”. To calculate the discount rate for a school district for example, you divide the total number of students that are eligible for free and reduced lunches by the total number of students enrolled in the district, then using the new Category 2 discount matrix find your relevant discount rate. Remember that this new Category 2 discount system is part of a two-year pilot program so there is no guarantee that this is how it will continue after funding year 2016. Since no one knows what will happen after these first two years and we do know the funding is available now, you should absolutely maximize your opportunity by starting to plan your FY2016 strategy asap. Understanding your budget is critical but now we need to put those numbers into context with what your new school wireless network needs. You should start by mapping out what your goals are and what you’re trying to do with your curriculum. Are you trying to implement a new 1:1 initiative or supporting BYOD, both? What types of devices are you supporting, what type of learning management system are you going to use? I think this is a good place to mention that some wireless service providers are out there to try and sell you as much as they can and not what you need. In many cases this leads to the one AP per classroom design approach which is not always what’s needed. During the summer months you should start conducting various predictive and on-site wireless site surveys to get a detailed understanding of how your current wireless LAN stacks up against current benchmarks and your mapped out goals. Using certain tests like application performance testing allows you to actually simulate what your users will experience while connecting to your network. This can be an invaluable tool when designing the right school Wi-Fi network. What’s the difference, which is better? We get asked this all the time. A detailed answer is given in our blog post “Controller vs. Controllerless WiFi: What’s the Difference”. However, when dealing with E-Rate it’s very important to note that E-Rate does not fund redundancy, unless it comes with it. This makes the controller-less option even more appealing than it already is for schools applying for E-Rate 2016 funding. Aruba instant AP’s (controllerless) for example are a super high-performing, dynamic, 802.11ac Wi-Fi solution that has this redundancy built right in. Every dollar of E-Rate funding is critical and must be strategically spent to support and maximize your educational goals over the next 5 years. 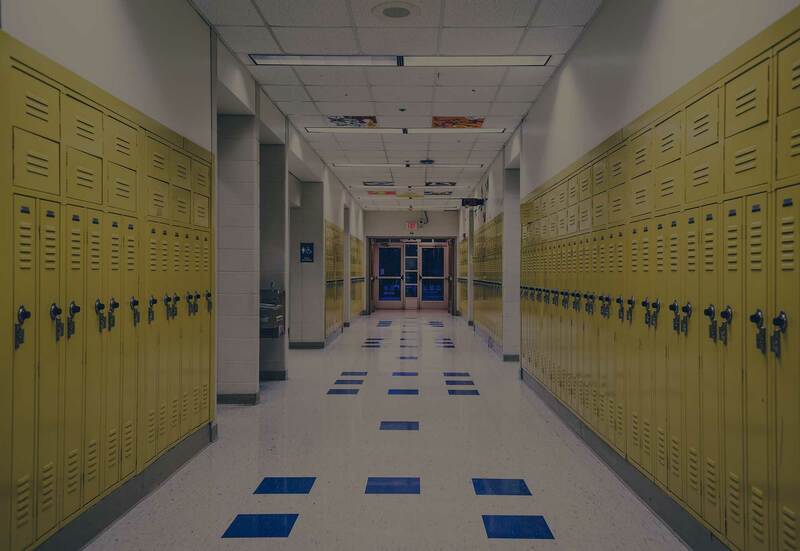 No two schools are alike; each scenario is different and requires a unique wireless solution that is tailored for what is right for them. A controllerless solution is just one option that should be highly considered not only because of its inherent performance capabilities but its ability to help maximize your E-Rate funding. During the fall month’s you want to begin to finalize your technology plan and what you will require for your new school wireless network design in order to achieve your educational goals. Although E-Rate no longer requires you to have a technology plan approved for category 2 services, as with any wireless LAN in general, the better you are prepared the easier it will be to create a successful Wi-Fi network. Basically your technology plan will help support the service requests you’re submitting on your form 470. This is a critical part of applying for E-Rate and many different parts of the application depend on this plan. E-Rate requires you to wait 28 days after filing your FCC Form 470. This is important to remember if you are waiting until the last second to submit your application, which we obviously don’t recommend. At this point you’ve put in a lot of research and a whole year’s worth of time developing your goals and determining what your network needs. You don’t want to be denied funding because of something that could have been avoided. However, the worst case scenario is being approved for funding and then not having the right wireless service provider and not having the right wireless network design to support those goals. It will be a long 5 years before you’re able to use E-Rate to help fund your school’s wireless network upgrades and if you’re not prepared that could be the longest 5 years of your career. At SecurEdge we've helped hundreds of schools to successfuly design and implement their school wireless network utilizing E-Rate funding. If you have any questions on how to get started preparing for FY2016 or would like to discuss your current wireless network simply contact us here!